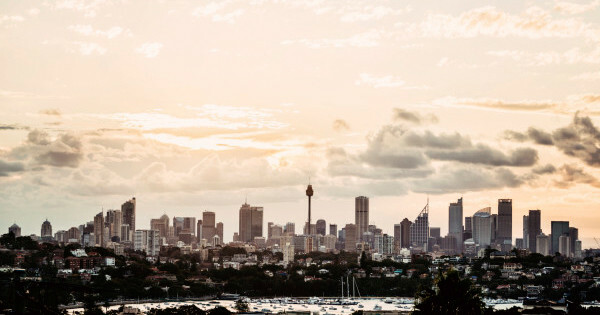 Sydney’s hot property market has meant that most suburbs don’t go unnoticed for very long— particularly when it comes to investors. The share market is quite the opposite, however, with the vast majority of sharers limiting their searches to a handful of suburbs in the Inner West, city and east. Suburbs which, due to their popularity, tend to be competitive and expensive. So if you’re looking for a place, be sure to keep your options open and don’t be afraid to explore those suburbs that ‘no one rates’. What makes something underrated can be subjective so to compile this list we’ve considered price, competitiveness (search vs supply), transport options and lifestyle. There are few suburbs left in Sydney where you can live affordably by the ocean. Admittedly, Cronulla is a fair whack from the city centre, however, at $260 per week it is the cheapest place to rent a room of any Sydney beach. Handily, Cronulla also has a direct rail link, which no other seaside suburb in Sydney can boast, making commutes ~not too bad~ for city workers. When one isn’t spending every spare moment enjoying the beach, Cronulla’s burgeoning food scene offers a plethora of options to keep even the pickiest of eaters satisfied. Wedged between Zetland and Mascot, Rosebery is commonly referred to as a ‘mostly industrial area’ by Sydneysiders—despite undergoing gentrification similar to its neighbours. With an average room rent of $306 per week, the suburb is 16% cheaper than Zetland and sees far less competition for rooms, making it a more attractive option. Those in the know will tell you Rosebery is fast becoming a centre for food lovers with suburb playing host to a number uber-cool eateries such as Three Blue Ducks, 5th Earl and Ninou. Features: outstanding cafe scene, modern apartment blocks, large family homes. Suburbs on Sydney’s north shore are often dismissed by sharers for being too out of the action and boring. Neutral Bay is one such suburb that tends to raise eyebrows and screw noses when suggested to anyone looking for a share place—despite the suburb offering a quicker commute to the CBD than Newtown or Double Bay. The suburb is also marginally cheaper than the aforementioned, with the average room renting for $303 per week. While the suburb doesn’t stack up to the cafe culture of Newtown, things are slowly evolving with a host of ‘hip’ eateries (read: exposed brick and kale) popping up. It’s also a mecca for lovers of Japanese food, with some 16-plus restaurants located within a 500m radius of Military Road. It’s difficult to understand why this laid-back, leafy suburb fails to impress with sharers. Dulwich Hill is not only the cheapest suburb on this list, it’s also the least competitive with an average of only 69 searches made for every room listed. Compare this with the likes of Enmore, where the average room is 12% dearer and three times more competitive, and Dulwich Hills looks an even more attractive option. With light-rail and rail links directly to the city and surrounding suburbs, it’s definitely well connected—not to mention also walking distance from Marrickville and Summer Hill. Food lovers are be spoilt for choice with an array of funky cafes, decent pubs and culturally diverse eateries. With better-known suburbs of Fairlight and Manly just next door, it’s easy to see why many sharers overlook Balgowlah. However, this hilltop suburb should be on the radar of anyone looking in the Northern Beaches, as room rental prices here can be 22% cheaper than Manly and 11% less than Fairlight. Balgowlah is also only a two-kilometre stroll (or Uber) from Manly, which means you’re close enough to the to take advantage of the nightlife and city-bound ferries, while also being far enough away to not be bothered by the tourist influxes. There are plenty of suburbs in the St George region that are underrated and consistently overlooked by those wanting to share a place. Granted, some suburbs can make for a tough commute, however, those lining the T4 train line can make for great places to rent and share. Culturally diverse Rockdale is one such suburb which offers the perfect mix of proximity to beaches, rail links and amenities. With an average room rent of $253 per week, the suburb is a whopping 23% cheaper than Wolli Creek—located just two stops closer to the city.